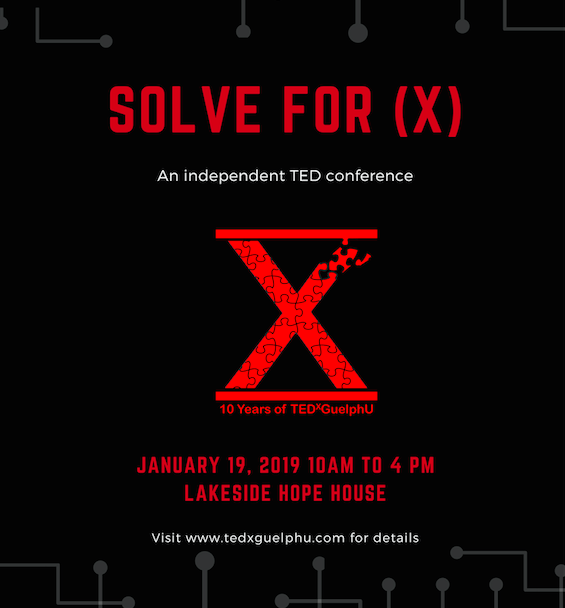 Solve for (X) is TEDxGuelphU’s 10 year anniversary event, that took place at the Lakeside Hope House on January 19th, 2019. What is Solve for (X)? This year we are focusing on assessing current issues and finding solutions, through collaboration. Our esteemed panel of speakers are Solving for (X) in their local communities and beyond. Whether you are looking for inspiration to solve for your own (x) or looking to experience a day of innovation we’ve got you covered! Join us on January 19th, 2019 at Lakeside Hope House for our biggest conference yet! From the stars above to the molecular biology that lies at the centre of all living things, Circadian Medicine will help us understand and control our basic physical connection with the Universe and change forever the way we manage human health. Imagine a revolution in clinical medicine where patients heal faster and more completely, medications are more effective, and we have new treatments for virtually every major disease known to man. Circadian Medicine promises all of this and more. As traditional forms of medicine slow their rate of innovation, the future of medical science for the next 100 years will belong to brand new fields of enquiry like Circadian Medicine, a fact acknowledged by the award of the 2017 Nobel Prize to 3 researchers in the field of circadian biology, a field which barely existed not more than a decade ago. Dr. Tami Martino can directly connect every cell in your body to the giant cosmic phenomenon of the Sun – and she can do it with just light. Dr. Martino is a Professor in Biomedical Sciences and founding Director of the Centre for Cardiovascular Investigations at the University of Guelph. She heads a research lab uncovering the science behind Circadian Medicine, leading to longer healthier lives. Tyler McGregor is a Canadian sledge hockey player from Forest, Ontario. Tyler has always been athletic, dating back to elementary school where he held many track and field records. In 2009, as an AAA level able-bodied ice hockey player, 16-year-old McGregor broke his ankle and both bones in his leg, requiring a rod and six pins in his leg. As his leg healed and he returned to playing ice hockey, when a soft tissue cancer developed at the site of his previous injury. McGregor underwent months of chemotherapy and the amputation of his left leg. McGregor realized quickly that he wanted to get back into hockey and started playing again with a standing amputee team. However he switched to para ice hockey in 2011 and his determination has led him to the national team. 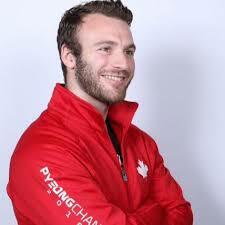 Currently, Tyler McGregor is an alternate captain and has won the silver medal with Canada's Para ice hockey team at the Paralympic Games in 2018. Additionally, McGregor has won a gold medal with Canada at the 2017 International Para Hockey Tournament in Turin, Italy, a bronze medal at the 2014 Winter Paralympics in Sochi, Russia, and a gold medal with Team Canada at the 2013 IPC Ice Sledge Hockey World Championships in Goyang, Korea. Rocco Cozza has had a passion for entrepreneurship and helping others since he was a child. Rocco started his first business selling baseball cards to neighborhood kids during grade school, which evolved into helping them sell theirs. In a profession not known for it, Rocco takes a unique approach to business and the practice of law by leading with kindness. He is always willing to give his time to anyone that needs it and believes that the “unbillable” hour matters most. Excited to help “Solve for (X), Rocco aims to reveal the harsh reality that kindness is still frowned upon in business and how the true power of kindness, when understood and implemented, has the power to change the world for generations to come. 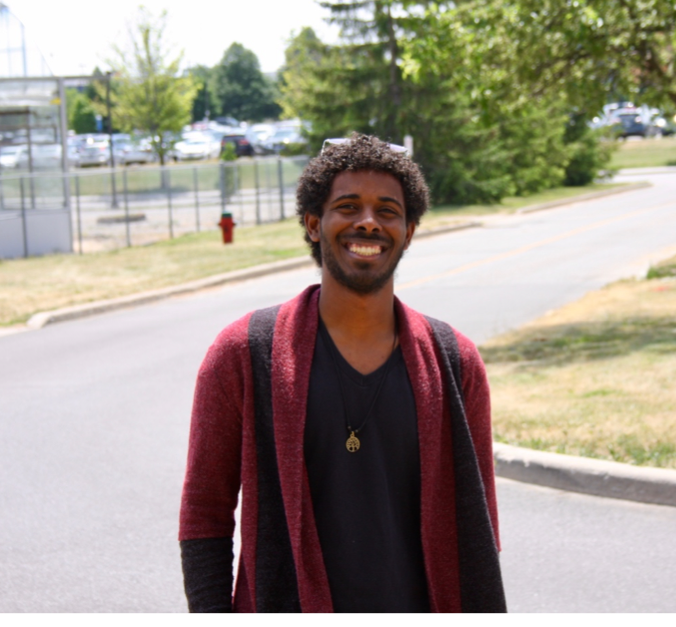 Jehoshua Sharma is in his fifth year of Microbiology Co-op, with minors in Molecular Biology & Genetics as well as Philosophy at the University of Guelph. He is currently a research assistant within the lab of Dr Rebecca Shapiro. There, he uses CRISPR to study the genetics of the drug-resistant pathogens, Candida albicans and Candida auris. He is also one of the founders of iGEM Guelph, a student lead research group on campus that uses synthetic biology to solve real-world problems. In iGEM Guelph, he gives students access to the tools that they need to conduct research independently and communicate their research on a wider scale to the public. Drug resistance is a global issue, predicted to kill over 10 million people per year by 2050 and Jehoshua’s lab experience has revolved around this looming threat. His current research focus is on the discovery of compounds that can either enhance the activity of known drugs or that can disarm the pathogen of the mechanisms that make them harmful to the human host. Through talks and outreach events, Jehoshua has made it clear that a significant aspect of his work is scientific communication. He believes the idea that if the public can understand us, we can advance faster. In his talk, he aims to do this by making cutting-edge scientific research publicly accessible and show us that there are emerging solutions for our current antibiotic resistant crisis. Saba Safdar is a professor and cross-cultural psychologist working at the University of Guelph since 2002. Safdar, who is an immigrant from Iran, studies the adaptation of newcomers in their country of settlement and examines multiculturalism and cultural exchange ranging from clothing to values and beliefs. Her work addresses social issues and involves both local and global communities. Safdar is the author and co-author of more than 50 publications in the field of psychology and presented and co-presented more than 150 scientific papers. In addition to Canada, she has held academic appointments in the U.S., U.K., France, Spain, Russia, India, and Kazakhstan. In her spare time, Safdar plays drum and takes her dog for a run. Drew Cumpson is an esteemed University of Guelph Alumni and current advocate for accessibility. After completing his second year at the University of Guelph in the Bachelor of Commerce, Hotel and Food Administration program, Drew’s life changed forever. Drew joined forces with Project Serve International and the University Guelph on a social justice trip to Lima Peru in May 2011. On the last day of his trip, he suffered a spinal injury while body surfing leaving him a C4 ventilator-dependent quadriplegic. Drew has become an advocate and ambassador for accessibility, the LGBTQ community, and creating change. After successfully completing his degree, Drew now runs his own Consulting Firm, H&D Consulting, which aims to “make an accessible world for all” and help create equality for others living with any form of disability. His latest project is directing a documentary titled 'Planes, Trains and Wheelchairs', focused on advocating to make a change in the hospitality and tourism industry to become more accessible. Drew does not let his disability define him and continues to live life to the fullest. He has a very positive and optimistic outlook on life and works hard to showcase that even with a disability, you are still able to accomplish your goals. 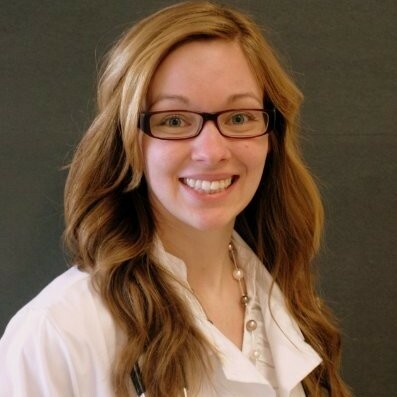 Dr. Michelle Oblack is a veterinary surgical oncologist and assistant professor at the Ontario Veterinary College. Her passion for veterinary medicine started early and throughout her career she is constantly seeking to find ways to push the boundaries of medicine. 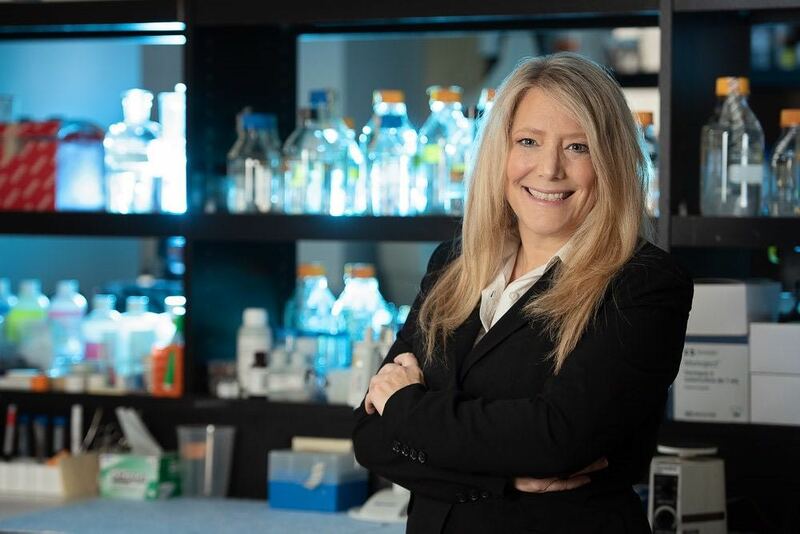 She is an active researcher with a focus on translational research and has several collaborations considering dogs as a naturally occurring disease model for cancer in humans. With a patient-centred approach, Michelle works to always consider how to best treat patients that come into her care, often looking for alternatives to what is readily available. Her interest in 3D printing started a couple of years ago when she was faced with a difficult surgical procedure. She realized that if a replica model of the patient and tumour could be available, it could help with planning the surgical approach and also for training of the students, interns and residents involved with the case. Since more perspectives are always, better, she was excited to be involved with the formation of the OVC RaPPID group, a group of clinicians and engineers at the Ontario Veterinary College seeking to provide an evidence-based approach to the use of 3D printing in medicine. This work lead to a collaboration with a medical 3D printing company that allowed Michelle to be involved with the creation and implantation of the first 3D printed titanium skull plate in a dog.